PL Review: Can Man. Utd Finish in the Top Four? 22 MatchDays have now been played in the Premier League this season. Although there’s a 16-point gap between 1st and 6th on the table the gap between the top six and the rest of the table is becoming more evident. The chase continues at the top of the table as Manchester City tries to retain their PL title. Liverpool may not have been at their best against Brighton. But still, they were able to squeeze out maximum points from the game. But with Trent Alexander-Arnold now injured, it remains to be seen how Liverpool will cope in his absence. With games against Crystal Palace, Leicester and West Ham all in quick succession, Manchester City will be hoping the Reds drop points in the coming days. But the Citizens’ next five games in the league is equally challenging. Manchester City has scored an average of seven goals/game in their last three games. But all three games were at the Etihad Stadium? How do you think they will fare away from home against Huddersfield? 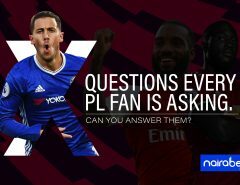 Asides Huddersfield, they will play host to Arsenal and Chelsea with FA and EFL Cup games sandwiched in-between. The risk of players getting injured is higher. They also stand the risk of falling further behind Jurgen Klopp’s men. Harry Kane has now suffered an injury. Spurs’ main striker will be out for at least two months. This may spell doom for Pochettino as his side is just one point above Chelsea and seven above Arsenal and Manchester United. With Harry Kane injured, how many goals can Tottenham score in their next London derby against Fulham? With a goalkeeper this good, can Manchester United finish in the top four? For how long can a goalkeeper keep up such heroics if his defenders continually leave him this exposed? Can Ole go on to become United’s next manager? When Man. Utd face Brighton this weekend, can they make it seven wins in seven? Arsenal vs. Chelsea is the top game this weekend. Both sides clashed on MatchDay 2 of this Premier League season. Chelsea won the game as five goals were scored. Who do you think will win this game? How many goals do you think will be scored? 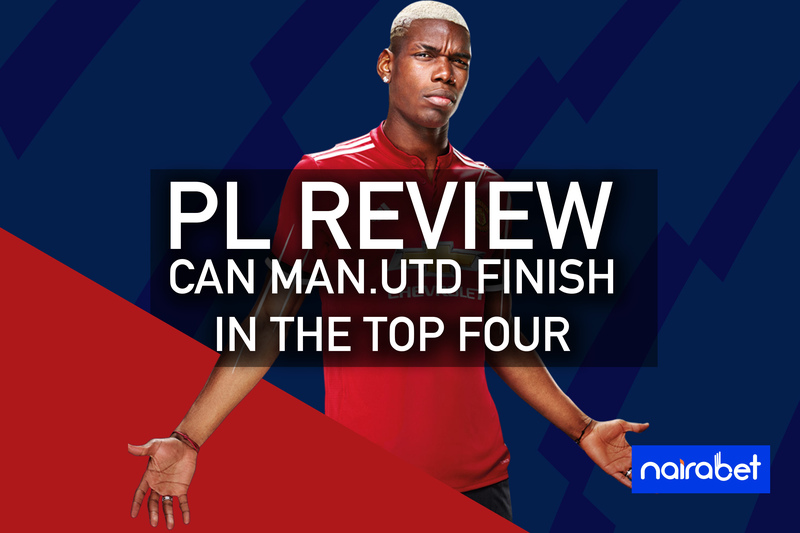 PS: Not forgetting the title of our blog post today, can Manchester United finish in the top four this season? Share your answers to all these questions with us by leaving us your comments.